Hadeeqatul Mahdi Car Park address: Country Market Malthouse and Osborne Farms, Kingsley, Borden, Hampshire, GU35 0QP. 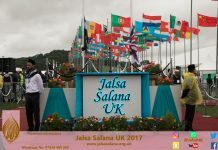 The Administration of Jalsa Salana UK 2018 are pleased to set out the arrangements for applying for car passes to attend Jalsa Salana UK. The Main Car Park is at the Country Market with regular shuttle services from this car park to Jalsa Gah at Hadeeqatul Mahdi. This year we have a very efficient and regular shuttle service which has fast track priority access to Jalsa Gah. Over the last few years, cars that were parked in Hadeeqatul Mahdi took on average ONE HOUR longer to leave than members who were parked at the Country Market. ROAD SIGNS – During Jalsa days as you drive towards Alton and the A31 past Farnham, there are special road signs indicating where you should go. Please follow the signs for the colour of your pass. DISPLAY YOUR CAR PASS – Please display your pass clearly in your front windscreen on the drivers’ side as you approach the car parks. DISABLED MEMBERS – Any pass issued for disabled members MUST BE ISSUED in the name of the disabled member AND they must be present in the vehicle when they attend Jalsa. SPEED RESTRICTIONS – For health and safety reasons, there is a 5 mph speed limit in ALL AREAS in our car parks and within Hadeeqatul Mahdi. 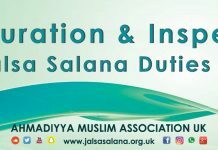 Please kindly co-operate with the Car Passes Department and with all volunteers and organisers of this Jalsa Salana. Please remember that this is a peaceful, tranquil and spiritual religious event and our conduct throughout should reflect these important shared values. 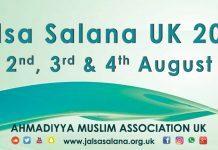 We wish you all a pleasant, spiritually uplifting and safe Jalsa, both during the event and during your journey to and from Jalsa. Please see below for specific types of passes. All general car-parking passes are issued directly by your local President. Therefore, all members must contact their President and apply for a car-parking pass. If you are a disabled member who will attend Jalsa, you can apply for a disability pass through your president urgently. The Application for any disability car passes must be submitted between 1st – 27th June 2018. Your President will apply to our Nizamat for a pass and the passes will be sent to your President before Jalsa for you to collect from them. There is Disabled Car Park in both Country Market and Hadeeqatul Mahdi and the Nizamat will determine which car park you will be allocated. PROOF OF DISABILITY – You give proof of disability to your President, which will usually be your disability badge issued by your Local Authority. APPLICATION IN NAME OF DISABLED PERSON – The pass must be applied for in the name of the Disabled person and NOT the driver or owner of the vehicle. DISABLED PERSON IN VEHICLE – The Disabled person MUST be in the vehicle when you come to Jalsa. This will be checked when you arrive. If you do not contact your local President by this date, you may not receive your pass in time for Jalsa. You may then have to attend our offices when it opens to the public at Baitul Futuh and there is no certainty your application will be successful. For our overseas guests, we welcome your participation at this Jalsa. Please complete the form. We would request that you type the information requested in the boxes where information is requested. If you have to write the information, please ensure that the information is CLEARLY WRITTEN IN BLOCK CAPITAL LETTERS AND NUMBERS. If we cannot read the information, your application may not be processed. The Form must be signed and stamped by your National President or General Secretary. The Form should be sent by EMAIL or FAX to the Car Passes Nizamat. You can sent this to us or it can be sent by your National Jama’at. 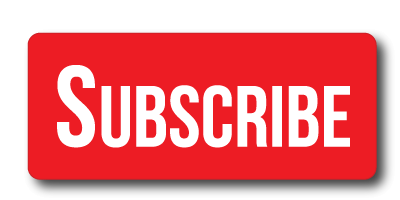 We will process the form and you will receive an email confirming your pass. Please ensure that you print off the email that you receive and bring this email with you to Jalsa. If you arrive before Jalsa, you may collect your car pass from our office at the Baitul Futuh Mosque. If you only arrive on the day of Jalsa, you should show the email to those on duty as you arrive and you vehicle will be sent to our Nizamat officials. Please do not worry if your application is delayed. Overseas confirmation emails will start to go out after 15th July 2018. 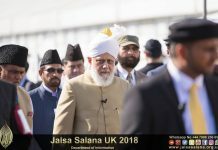 If you are not a member of the Ahmadiyya Muslim Community and you have been invited to attend the Jalsa Salana, you will be sent a car-parking pass with your invitation. Please kindly display this pass in your car windscreen on your drivers side. If you involved in the arrangements for Jalsa or if you undertaking an exhibition or other work related activity during Jalsa, you must contact your Head of Department if you wish to use a vehicle to attend or function during Jalsa. There is a special procedure for applying for worker or duty related passes for the use of any vehicle during Jalsa. PLEASE DO NOT ATTEND THE OFFICE TO APPLY FOR THESE PASSES AS YOU WILL BE REFUSED. 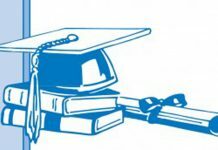 You must follow the procedures and please contact your head of department or Nazim and there are strict deadlines for these applications after which your application may be refused. If you obtain approval to pitch your own tent or to hire a tent to be pitched at Hadeeqatul Mahdi, or to bring a caravan to Jalsa, you will be able to apply for an appropriate car pass. However, please note that you MUST OBTAIN written approval for private or hired tents to be pitched or to bring a caravan, motorhome or other such vehicle to Hadeeqatul Mahdi. 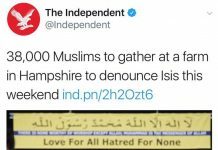 Such approval must be sought from the Office of Jalsa Salana UK. It is your responsibility to obtain this approval and to provide this approval if you wish to apply for a car pass after such approval. This is not obtained automatically. All stall holders have to apply for their car pass through Nazim Bazaar, who will make the application on their behalf and distribute the pass once received. For Lajna Bazaar, the application must go through the relevant issuing authority within the Lajna Jalsa Administration and again will be distributed by them. The preferred method of contacting the Nizamat is by email. Before the Full Office Opening Hospitality Period, our telephone number may not be fully manned and you may have to leave a message, but we cannot guarantee any specific period in which your calls will be returned. Our Full Office Opening Hospitality Period is from Saturday 21st July 2018 until Thursday 2nd August 2018 midday and our opening hours are from 11:00 am to 8:00 pm every day although we are closed 15 minutes before and after each Prayer and between 1pm and 2.30pm each day for lunch.